Some of the optical illusions I’ve seen recently are simply stunning. 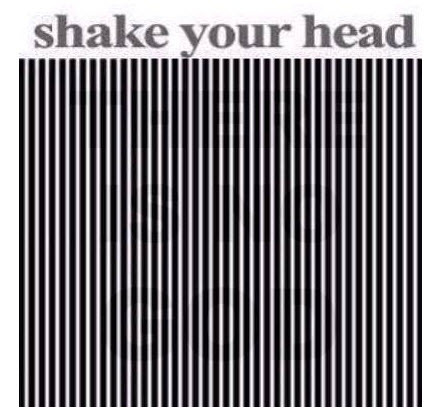 Gaining in popularity these days is the “shake your head” illusion. There’s even a page on the intertubes explaining how to use Photoshop to create your own. Here’s one that I found amusing. Google “shake your head illusion” if you want to learn more. This entry was posted in Science and tagged Optical illusion, optical illusions. Bookmark the permalink.